Whether you have a startup company or an established one with several branches spread across the country, it’s a wise move to invest time and effort into local search engine optimization marketing. When you want to find a seafood restaurant near your place, what do you do? Go to your favorite search engine and do a quick online search. Your prospective customers do the same when trying to find products or services relevant to your Orlando business. Without a solid local-SEO strategy in place, you can bet that the competition is enjoying a large chunk of your target market. Far too many business owners choose to focus on social media and videos, primarily because of the potential of amassing a ton of traffic by going viral. But because 3.5 billion searches are conducted daily on Google alone, search engines must not be forgotten as the largest source of inbound traffic. To convince you even further, understand that 46% of all Google searches have local intent. Just think about the massive amounts of traffic you do not drive to your site simply because your website isn’t optimized for Orlando-specific local search terms. You might still be wondering what local-SEO is and what makes it different from organic Search Engine Optimization. 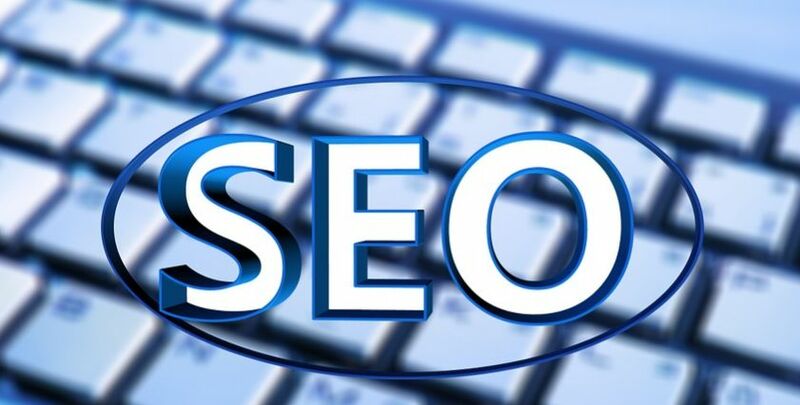 If so, be sure to read on this article from a reputed Orlando SEO company to learn everything there is about local-SEO-marketing. It’s vital to understand that the fundamentals remain largely the same between local and organic SEO. The main difference lies in search intent. When using local SEO, the goal is for businesses to improve the search engine rankings of their site to reach their local target customers. The geographic area is a critical factor in your strategy. Organic SEO, on the other hand, doesn’t take locality into account. For example, searching for “seafood restaurant near me” will return a list of local Orlando seafood restaurants based on your geographic location. But if you decide to prepare your favorite seafood dish at home, you might Google “how to cook salmon.” You will then find a list of the most relevant web pages. Even if you live in New York, you might see a blog from someone in California. Now that you have a clearer understanding of what local SEO is, it’s time to learn how it can impact your business. The Orlando SEO company explains that Google has started to include local results back in 2007, and the importance of local search engine marketing has only grown since. But even if you already know how powerful localSEO is, you might still find yourself surprised at what it can do for your business. Did you know that a ton of Google users look for local information such as business hours, local store address, and directions to local store? Yes, online consumers aren’t only typing general “near me” search terms. They can get very specific in their searches, as they want to see the most relevant results right away. Of course, Google wants the same for their users. All those algorithmic updates aren’t for nothing. The ultimate goal is to return the best results to satisfy the needs of users without requiring them to enter another keyword or scroll past the first page. What’s also interesting is that 50% of consumers who searched for a local keyword using their smartphone ended up visiting a store on the same day. For desktop and tablet users, the figure goes down to 34%, but that’s still a lot of potential customers. Local SEO marketing offers an excellent opportunity not only for driving traffic to your Orlando business site but also for bringing customers to your brick and mortar store. So how can you get started? Try entering a Orlando-specific search term on Google and observe how the first page looks like. You will probably see paid ads at the top of the page, followed by the local map pack. Google has changed the local pack several times over the years. Today, it is called the Google 3-pack because it features three businesses, making them stand out among the rest of the search listings. With a reputed SEO company in Orlando and the right strategy in place, you should be able to appear on the local pack. Achieving this feat virtually guarantees an increase in traffic. Most users click on the local pack because all the important business information can be seen right away. When Google first started experimenting with local search results, the business name, address, and phone number were among the most critical factors they considered. The NAP continues to be essential in any local SEO strategy. Google places more trust in businesses with consistent NAP, rewarding them with higher rankings. For this reason, it’s important to keep your business name, address, and phone number exactly the same across all online channels you use. These include your business website, social profiles, online business directories, Google My Business and Bing listings. Failing to keep your NAP consistent might cause Google to look elsewhere for businesses to put on the first page or the local pack. Online business directories are used by countless people when finding local products or services. These channels should be leveraged to maximize the visibility of your business. The problem, however, is that some directories might create a listing for your business without you knowing it. You might end up having a listing without any business information. It’s a prudent move to claim all listings you find across the web. Pay particular attention to Orlando business directories that are less popular. You always want to keep them updated, especially when an important information has changed such as your contact details. Word-of-mouth marketing is the best way to promote any business. In the online world, this comes in the form of online reviews. A staggering 88% of consumers consider online reviews just as dependable as personal recommendations from family or friends. You might have noticed that the local pack displays a star-rating and the number of reviews the business has received. This is one of the reasons why the local pack proves so powerful in generating laser-targeted traffic. Online users want to check out what other people have to say about a product or service to feel more confident about their purchasing decision. It helps to establish a system for encouraging customer reviews. Note that your clients need to invest time to create a review for your business, so you might want to give them incentives. Also, make sure to guide them. Your customers may not be as Internet-savvy as you assume, so show them how they can leave a review to make it easier. Publishing high-quality, locally relevant content can do a lot for your brand. Provide real value to your online visitors by creating share-worthy blog posts. You can also experiment with other forms of content such as videos and infographics. An effective content marketing strategy can make you an authority in your field. Aside from creating multiple service pages for different locations in Orlando, you might also want to look into publishing local news, industry gatherings, and other relevant content on your website. The new SEO website for GetActiveOrlando.com is launced. You can navigate through the menu bar to access informational content about internet marketing and search engine optimization for companies in Orlando, FL. We intend to publish more interesting and useful tips in the coming weeks. We look forward to your suggestions and digital marketing topic requests. More stuff to be added soon!